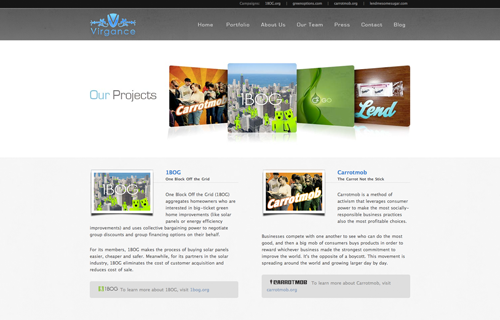 In which Carrotmob becomes part of an incubator company called Virgance. 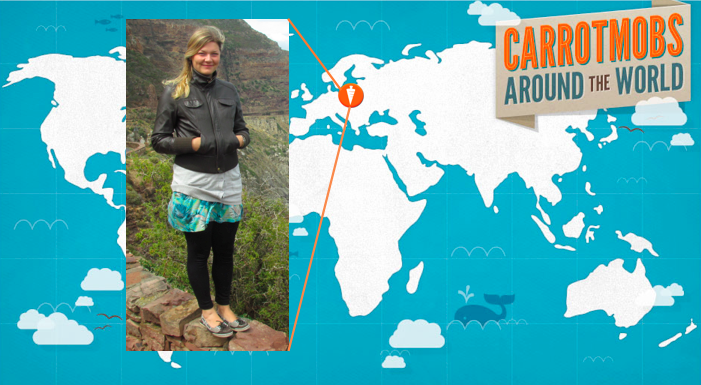 Once it was clear that Carrotmob had legs and wasn’t going to be a fluke, I knew that I was going to quit my other job and run with it. The problem was, I needed help. I didn’t know anything about how to start and grow an organization. I started having lots of conversations, and soon I was introduced to Steve Newcomb. He had been thinking about some related concepts and started pitching me on the concept of Virgance. The idea was essentially to create an incubator company that would build projects which were at the intersection of business and sustainability. Steve and I each represented the two roads that led to that intersection. Steve was a business savvy serial entrepreneur (his prior company was about to be sold to Microsoft for many millions of dollars), who had recently become interested in sustainability, and I was a long-time advocate who had recently become interested in entrepreneurship. We each complemented each other in the areas where the other person was clueless. It became clear to me that if Steve was involved, Carrotmob would be able to go places much faster than if I tried to do it on my own. But his idea was also very new and different from what I had imagined. 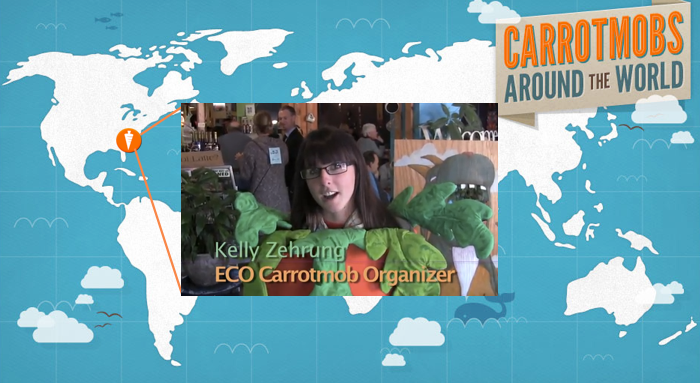 I had sort of assumed that Carrotmob would be a non-profit. Not for any good reason, but just because I had a simple-minded perspective that organizations that did good were non-profits. Steve was proposing a for-profit, and that was a new idea for me. To help evaluate the opportunity, I took it to the mob. I wrote a blog post in which I laid out the rationale for making Carrotmob a part of Virgance, along with all the potential downsides of that path. I asked everyone to consider what would be best for the Carrotmob movement and vote by commenting in the blog post. The comments streamed in, and over 2/3rds recommended becoming a for-profit. That made the decision for me, and Steve and I co-founded Virgance in late Spring 2008. I left my other job shortly thereafter. We began building a team and crafting the plan. In mid-August 2008, we collected a check from our first angel investor. In the next few weeks as we got excited to raise more money and hit the ground running, Lehman Brothers collapsed, and the entire economy began to fall apart. Somehow, amidst this turmoil, we managed to acquire 2 other startups, and we finally finished raising about $750k at the beginning of 2009. All this was the thrilling beginning to a year and a half of incredible education on how to start a company.